Hawker Electronics Limited was founded in 1963 to manufacture products to provide level control and indication for liquids and free flowing powder and granular products. Over the many years Hawker has become an industry byword in level control supplying to a diverse market. In particular the water & waste water sector. But also the environmental, chemical, pharmaceutical, paper, food, marine, bulk handling and many more. Knowledgeable engineers are available to freely advise on applications. Hawker are BS EN ISO 9001:2008 credited. 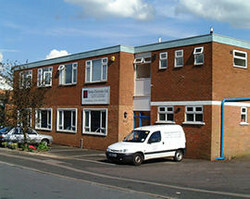 Our products are manufactured at our Birmingham factory and are ex stock or on a short delivery. Variations to suit clients special requirements can often be accommodated.